Histamine is a chemical compound present in the body that is formed and stored in cells called mast cells and basophiles. Histamine plays an important role in the immune system and is part of the body's protective mechanisms against foreign bodies or germs. It is also present as a neurotransmitter, or chemical messenger in the brain, and helps to release gastric acid in the stomach. 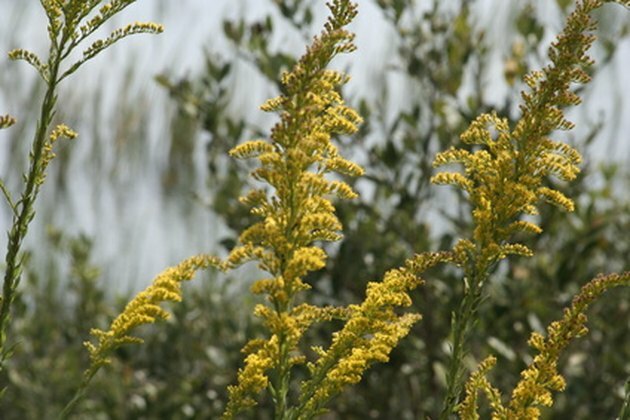 The Cleveland Clinic notes that in some individuals, hypersensitivity reactions cause excessive release of histamine in response to allergens such as pollen, dust mites, insect bites and some foods and medications. These raised levels of histamine produce a range of symptoms from mild discomfort to shock within a few minutes of contact. Itching is a sensation of irritation on the skin and results in skin scratching and inflammation. When itching is caused by high amounts of histamine in the body, symptoms may appear on one side only of the body or in certain areas, or it may be generalized to the whole body. This occurs because high histamine levels trigger other inflammatory reactions in the upper layers of the skin. Individuals with allergies react to different airborne particles or allergens that cause symptoms such as a runny nose, nasal itching, sneezing, post nasal drip, itchy ears and red eyes, as discussed at MedicineNet.com. This condition is also referred to as hay fever and is caused by excess amounts of histamine released from inflammatory cells that dilate blood vessels and increases leakage of mucus fluid from the lining of nose, throat and eyes. Symptoms of allergy-related asthma result from high levels of histamine in the bloodstream. The excessive histamine causes swelling of the mucosa that line the airways of the lungs, bronchial smooth muscle contractions in the lungs, and increased mucous secretion, which form plugs in the airway leading to symptoms such as difficulty in breathing, wheezing and chest tightness, as noted by University of Maryland Medical Center. Red, watery eyes are a mild allergic symptom resulting from high histamine levels that cause watery secretions from the lining of the surface of the eyeballs and the eyelids, leading to redness, itching, watering and swelling, as noted at the Cleveland Clinic. Hives are a temporary, inflamed skin condition resulting from high levels of histamine, also referred to as urticaria, as discussed at the MayoClinic.com. Symptoms include red, itchy, raised swollen areas on the skin, which suddenly appear for a few hours or less on the face, neck, chest, back, arms or hands and then subside. Hives may cause temporary burning or itching sensations that may be mild or severe. Angioedema is a swelling that occurs in the deeper layers of skin and the linings of the body such as in the lungs, throat and digestive tract. This symptom also results from high histamine levels and can also affect the hands, feet, lips or area around the eyes. In severe conditions, angioedema can cause swelling in the throat, mouth and airways that obstruct breathing and lead to death. Anaphylaxis is a form of allergic shock that is a severe and potentially life threatening condition resulting from sudden, large amounts of histamine released due to extreme reactions to a drug, food or insect allergy. Anaphylaxis can involve the entire body, as discussed by Cleveland Clinic, and causes swollen and reddened skin, abdominal pain with diarrhea, nausea and vomiting, nasal congestion, cough with wheezing and difficulty breathing, fainting, and dizziness. High levels of histamine also cause sudden low blood pressure as it causes blood vessels to dilate and leak.